Enjoy my Trips though Asia ! Read about famous old roads and postal stations in Japan. 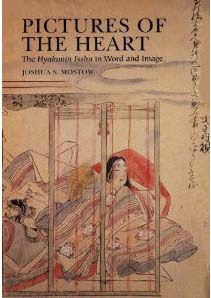 is a traditional anthology style of compiling Japanese waka poetry where each contributor writes one poem for the anthology. Literally, it translates to "one hundred people, one poem [each]". It also refers to the card game of uta-garuta, which uses a deck composed of poems from one such anthology. The most famous hyakunin isshu, often referred to as "the" Hyakunin Isshu because no other one compares to its notability, is the Ogura Hyakunin Isshu, compiled by Fujiwara no Teika (or Sadaie, 1162 – 1241) while he lived in the Ogura district of Kyoto, Japan. 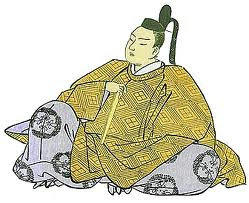 One of Teika's diaries, the Meigetsuki, says that his son, Fujiwara no Tame'ie, asked him to arrange one hundred poems for Tame'ie's father-in-law, who was furnishing a residence near Mount Ogura; hence the full name of "Ogura Hyakunin Isshu". In order to decorate screens of the residence, Fujiwara no Teika produced the calligraphy poem sheets. In his own lifetime, Teika was well known for other work. 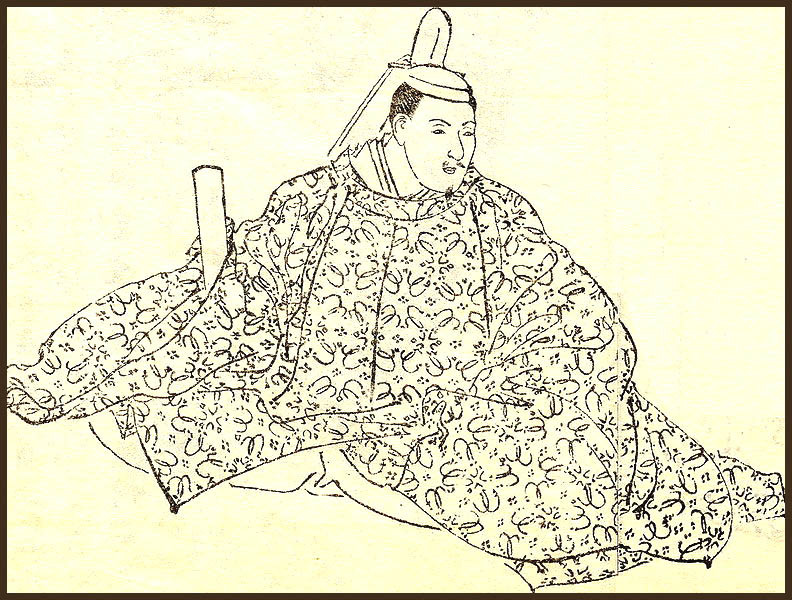 For example, in 1200 (Shōji 2), Teika prepared another anthology of one hundred poems for ex-Emperor Go-Toba. This was called the Shōji Hyakushu. 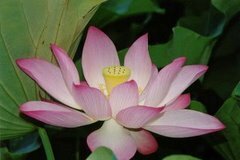 Many poems make a reference to a famous place in Japan.
. Utamakura 歌枕 place names used in Poetry . "makura kotoba" 枕詞, 枕言葉, "pillow words"
. Karuta, Uta Karuta 歌留多 Poetry Card Game.
. Matsuo Basho at Mount Ogura .
. Ama no Kaguyama 天の香具山 "Mount of Heaven's Perfume".
. Tago no Ura 田子の浦 Tago no Ura Bay .
. Ujiyama うぢ山 Mount Uji 宇治山 .
. Osaka no Seki 逢坂（あふさか）の関 Osaka Barrier .
. Yasoshima 八十島 Eighty Islands .
. Tsukubase 筑波嶺 Mount Tsukuba 筑波山 .
. Michinoku みちのく - Mutsu 陸奥 .
. Inaba no yama いなばの山 Mount Inaba 稲葉山, Tottori .
. Inaba-Manyo History Museum 因幡万葉歴史館 . 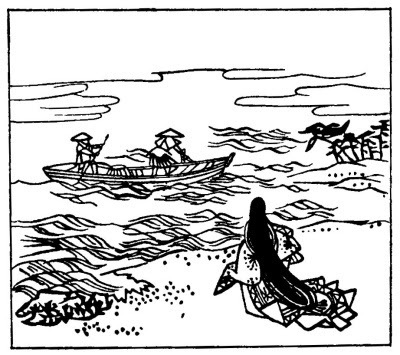 in honor of Otomo no Yakamochi, compiler of the Manyoshu poetry collection.
. 17 - Ariwara no Narihira Ason 在原業平朝臣 .
. Tatsuta-gawa 龍田川 River Tatsuta ?Tatta .
. Sumi no E 住の江/住之江/住吉（すみのえ）Suminoe Bay .
. Naniwa gata 難波潟 Naniwa marsh (Osaka) 難波江 .
. Tamukeyama 手向山 Nara . ©　More about Kanesuke in the WIKIPEDIA !
. Yoshinoyama - 吉野山 .
. The Takasago Legend 高砂伝説 .
. River Yuragawa 由良川 in Tanba .
. Mount Ibuki yama 伊吹山 .
. 藤中将実方 Tono Chujo Sanekata . 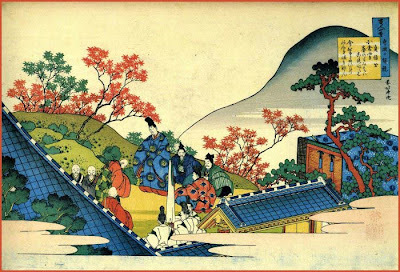 His exile in Kasajima 笠島.
. Ama no Hashidate 天橋立, Wakasa .
. Nara 奈良 the ancient capital .
. Mimuroyama 三室の山- 御室山 Mount Mimuro . At Osaka Bay, Takaishi town 大阪府高石市.
. Temple Hasedera 長谷寺 Nara .
. Suma and Iro no Hama 須磨 と　色の浜 .
. Awaji island 淡路島 .
. Mount Hiei, Hieizan 比叡山, Hiei-zan . David Bull's 'Hyakunin Isshu' Woodblock Print Series - "Hyakunin Issho"
"I carved and printed each one using exactly the same techniques that were used to create the original book in 1775. 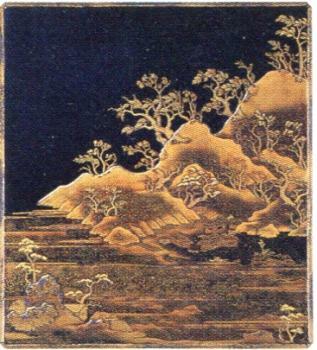 For a master reference, I used a copy in the possession of the Toyo Bunko, a research library in Tokyo, whose staff were most helpful, and to whom I am grateful for permission to reproduce this work." For 1,500 years, people in Japan have being writing poems in lines of 5-7-5-7-7 syllables each. Even today they're a part of daily life — and especially at New Year's, the role played by the revered 'Hyakunin Isshu' collection often becomes decidedly unpoetic . . .
. The wonderful worlds of 100 waka .
. Arare crackers devoted to the Ogura collection . a Japanese poet, critic, calligrapher, novelist, anthologist, scribe, and scholar of the late Heian and early Kamakura periods.
. gachoo 画帳 - 画帖 painting collections .
. Daruma Uta 達磨歌 Daruma-sect poems . Just how much more becomes especially evident at New Year’s, which is to families in Japan the time of year most akin to the Carters’ gathering last week. 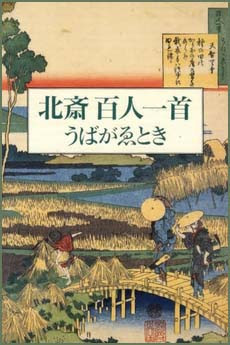 Then, one hyakunin isshu collection in particular — the overwhelmingly best-known “Ogura Hyakunin Isshu” anthology of 100 poems compiled in Kyoto’s Ogura district by Fujiwara no Teika (or Sadaie, 1162-1241) — comes prominently into play, and especially in the interactive parlor game (which may also be a sport) called uta-garuta. In the dynamic competitive version of uta-garuta called kyogi-karuta, demure young 21st-century ladies in kimonos fling themselves at cards and scatter them across the tatami. Oddly, too, this has a lot in common with sumo, another ancient form of entertainment which stipulates formal dress (un-dress in the latter case), respect for the opponent, strict etiquette, no arguing with the ref and a ranking system — and in which success can hinge on moments of split-second action when suddenly everything turns rough and nasty. In terms of speed, kyogi-karuta’s right up there with kendo. Waka by. 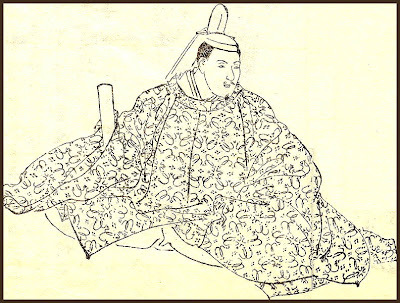 Fujiwara no Teika 藤原定家. just the voice of a water rail outside." wanting to celebrate a thousand years. Araki hamabe ni There on the rough sea strand? In the Ogura Hyakunin Isshu card game, there are quite a few hooshi 法師 priests. 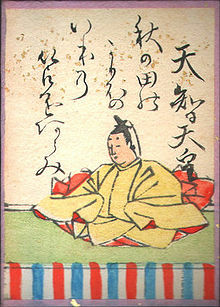 Sometimes a special game is played, the "boozu meguri 坊主めくり". If you draw the card of one of the priests, you have to perform some spacial tricks or have your face painted black with ink. That is why the hooshi - boozu card is not well liked. part of The University of British Columbia Library Digital Collections.